What a crazy week! I am leaving super early for New York City this morning, so I spent the last couple days trying to get caught up on everything before I left (which didn't leave much time for blogging). I have also been prepping like crazy for this big interview I have (that's why I am headed to NYC). I hope to share more soon (cross your fingers it's good news), but for now I am sworn to secrecy. I have been a huge ball of nerves over this interview all week. And while I feel super prepared and ready, I have put a ton of pressure on myself, since getting this would be a game-changer for my career! But I have to remind myself not to get too worked up and not to put all of my eggs in one basket. It's hard, however, not to get overly-excited when a huge opportunity presents itself. The good news is that this trip won't be all work and no play. I am making a long weekend out of it so I can enjoy the city. I am excited to meet up with Emily (doesn't she have the most gorgeous blog photos?) who I became friends with in Florence last spring. It is always nice to see a city with a local. I realized that with all of my European travel, I haven't been to New York since college! Bring on all of the great food and sights. Although, I am not looking forward to the chilly weather. 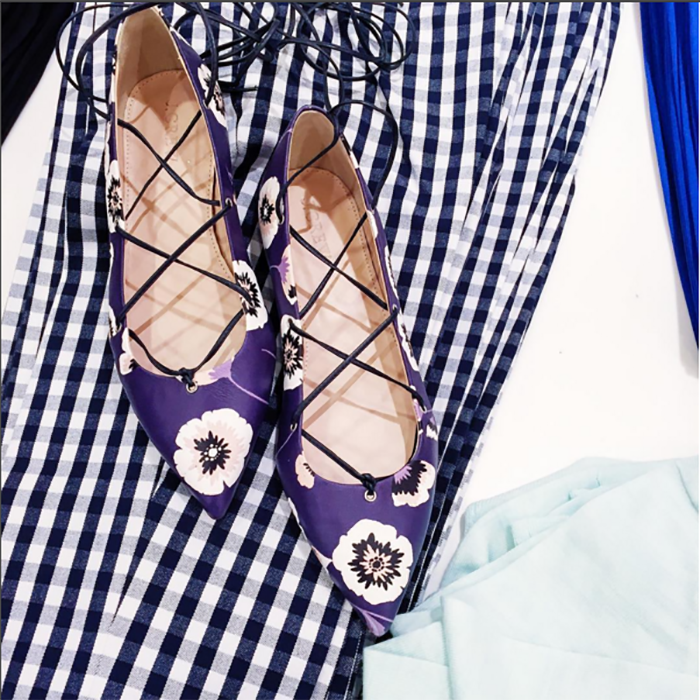 In other news, J.Crew released more spring arrivals yesterday and I couldn't help but purchase these gorgeous floral lace up flats, which are surprisingly comfortable. They finally brought back my all-time favorite weekend dress in two colors (I will be ordering the red and navy), and I also snagged this adorable light pink gingham popover. Speaking of gingham, I spotted these fantastic navy gingham wedges on the J.Crew Factory website, but they are already sold out in my size. I am so sad. If anyone finds a 7, please let me know! And make sure you follow me on Snapchat (HinHH) to see all of my NYC adventures.